The Final draft will be the NRC 3rd list or the final result of the NRC Assam that includes all the valid/legal citizens’ names. The expected time for the final NRC result is on or before December 2018. This will be done once all the registered NRC applications are verified by the officials. For the time being the first part Draft NRC list is published. According to a Assam Government report, currently out of 3.29 crore citizens 1.29 crore NRC applications has been verified and the verified names were declared in the first part draft list. The verification process for the rest of the applications are going on at full pace. Once the verification process is completed then the 2nd draft NRC List will be published. This will be complete result draft of NRC Assam where all the eligible names will be included for sure. The supreme court of India has ordered to complete the verification process and publish the NRC Final Draft on or before 31 May. In this final NRC list all the remaining names that are left out in the 1st part draft of NRC will be included. If in this second draft also those names are not appeared, then there will another subsequent draft which is expected to be published by 30th June 2018. After that there will be no further NRC draft to be published. According to the NRC State coordinator The Supreme Court will monitor the progress of NRC work after 30 days and give the final decision on 27th March 2018. You must have familiar with how to check NRC result. To check the Final NRC Result List, the process is similar to that of checking the part draft or complete NRC Draft. For those who are unaware about the NRC Assam Result checking process, we have mentioned few ways to check your NRC Final Draft Result List. 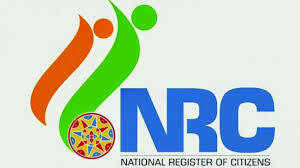 1st Method : Visit the official NRC Website link nrcassam.nic.in and search for Final NRC result checking banner. After that click on that banner link and you will be redirected to another webpage. Now enter your Application Receipt Number i.e. the ARN number and fill the captcha . Now click on search button and within a few second or a minute (depending upon the server traffic) your result will be displayed in your screen. You can further print the Final NRC result by pressing ctrl+p button from your keyboard. 2nd Method : Visit your nearest NRC Seva Kendra (NSK) with all the valid documents and ask the official for your NRC list by providing the ARN number. They will provide you the final NRC draft list. 3rd Method : You can also send SMS from your mobile to get NRC final result. To do this go to your message manager and type a new message like this: Type ARN space ARN number and send it to 9765556555. 4th Method: You can get your final NRC Assam Draft list by dialing NRC Official Toll Free numbers. Dial 15107[from Assam] or 18003453762[outside ASSAM] to check NRC final results. How To Claim For NRC ? If your Name not included in NRC 2nd List.